Next Log into your Trustelem account as a user with administrative privileges. 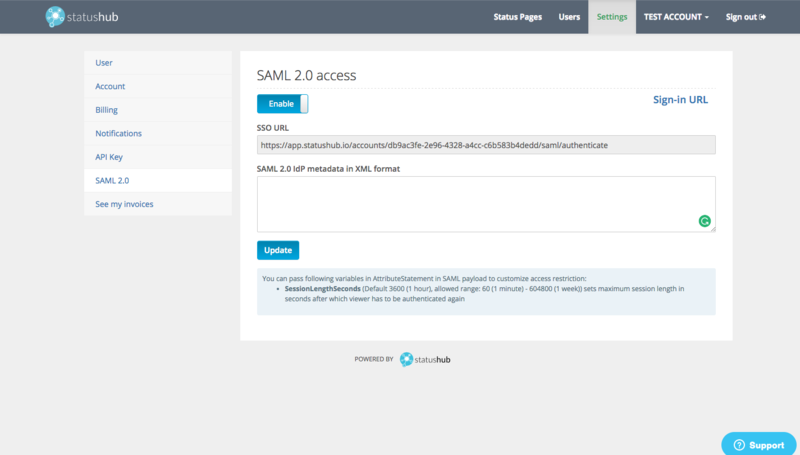 Take the SSO URL from https://app.statushub.io/my/account/saml and paste it into the StatusHub URL box below. Hit save to secure your changes. Open up the display setup instructions and copy and the XML code. 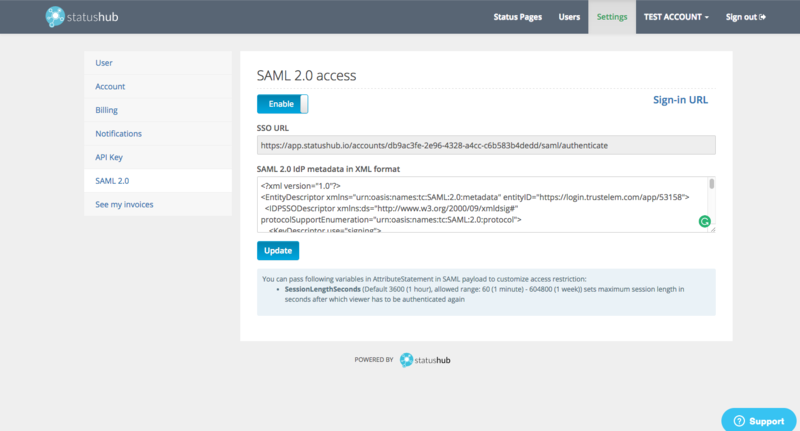 Head back to StatusHub to complete the connection at https://app.statushub.io/my/account/saml by pasting in the XML code. Hit update to the save changes. 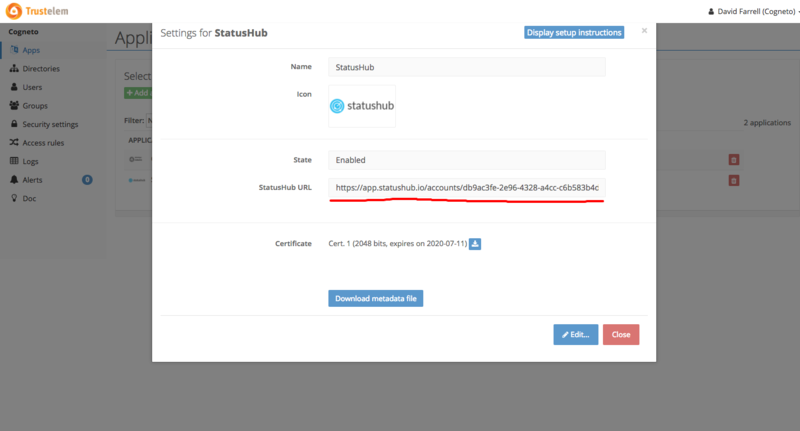 Now the connection has been completed and your StatusHub account is secured with Trustelem. If you click on the Sign-URL to the right of the page you should be prompted to sign-in using your Trustelem credentials. Please save this URL as you will need it if you wish to share access with any of your colleagues. If you have any questions or feedback related to "Securing your StatusHub control panel with Trustelem", please contact our support team.